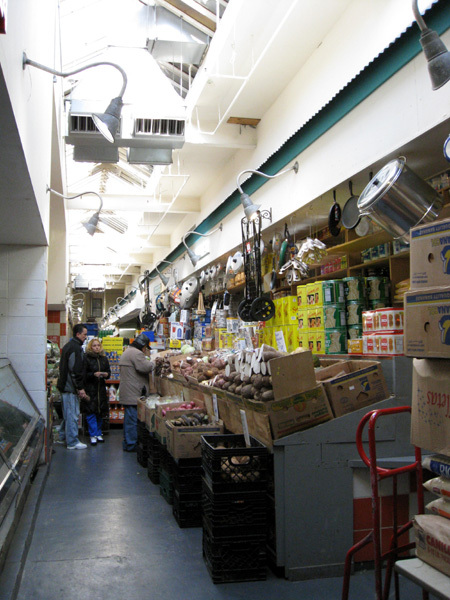 …the city’s Economic Development Corp. had suddenly notified 20 merchants who operate in the cavernous Moore St. market in Williamsburg that the building was to close June 15 to make way for new affordable housing. After decades at the same location, the merchants were furious at the city’s bullying tactics. The bureaucrats at EDC didn’t even have the common sense to consult the local community board about the city’s plans to demolish the market – something required by city land use laws. The good news is this market was spared closure for another year. The bad news is this year ends June 2008. Will it survive or will it be razed to build “affordable housing”? I guess we will find out soon enough. 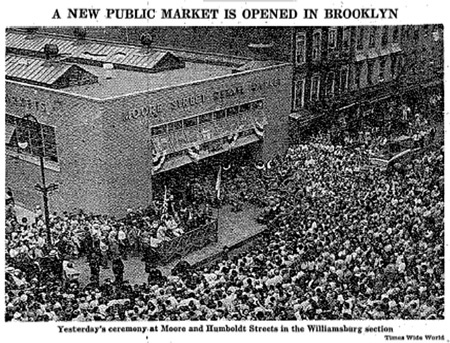 Follows is an article from the July 29, 1941 edition of the New York Times about the opening of the Moore Street Market. Not only was the turnout for this event enormous, but New York’s very own Fiorello La Guardia was master of ceremonies. Enjoy! 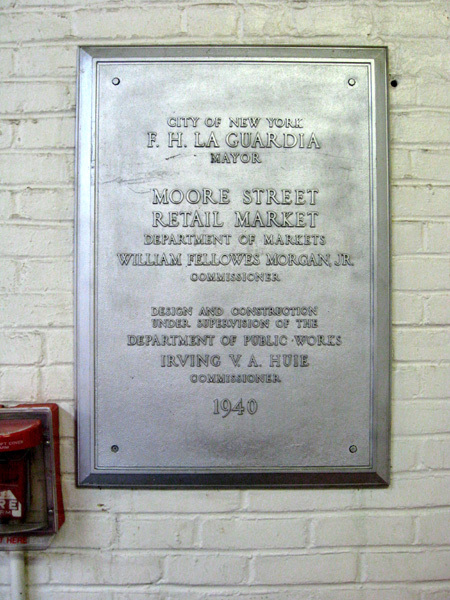 Here is the plaque at Moore Street Market commemorating this event. You can find it inside the Moore Street entrance to your left. The market shouldn’t be going anywhere. Our congresswoman Nydia Velazquez earmarked $235,000 towards restoring the market with Project for Public Spaces. EXCELLENT QUESTION Ando! I did not take note of the operating hours when I was there last weekend (forgive me, I was on the business end of a nasty cold at the time) so I have made inquiries. That said, I am very happy to see that Ms. Velazquez has thrown her support behind the Moore Street Market and thank you so much for passing along this information.